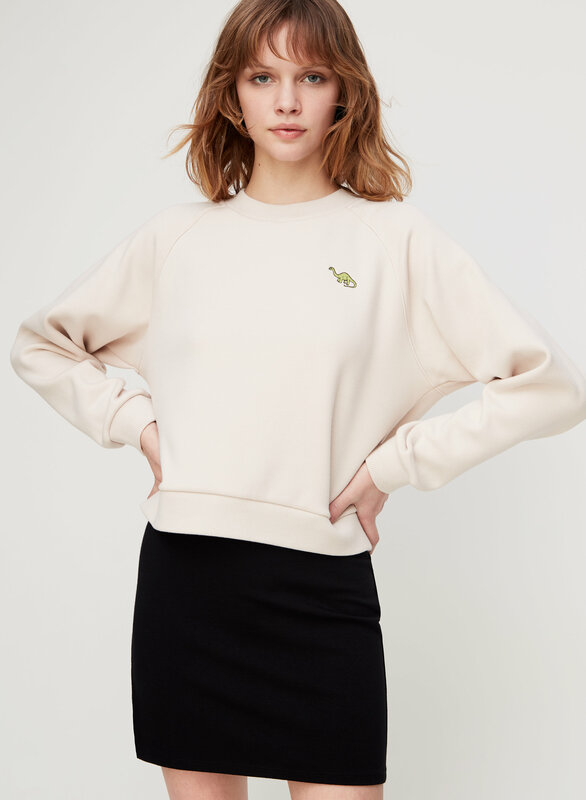 Styled with ellie sweater . And nights, too. 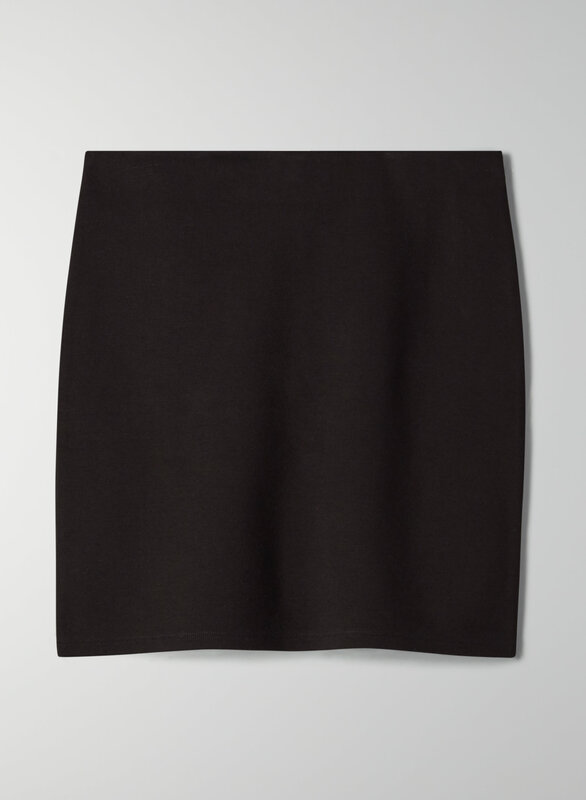 This is a pull-on mini skirt with elastic at the waist. It's made with an interlock knit fabric that has a nice stretch and holds its shape.